Experience the excitement of shopping! With a dazzling selection of women’s apparel, you’re sure to score on stylish pieces for comfy casual looks, elegant formal ensembles and everything in between. Shopping for clothing has never been easier—from timeless classics to up-to-the-minute trends, Macy’s has it all. And with a wide range of sizes including petite and plus, you’re sure to get the perfect fit. Don’t forget to check out the juniors collection to stay on the pulse of contemporary fashion! Your favorite sheers with a control top and a silky finish, by Sheer Reflections. These chic jeans by Style & Co are a great wardrobe staple to pair with all your favorite tops and tees -- add in some heels or flats and you're ready to conquer anything! Crochet trim elevates the casual feel of this bell-sleeve top from Style & Co.
Every woman needs black pants to wear to the office or out for dinner. This pair from JM Collection fits and flatters like a dream. 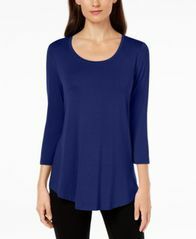 Be simply chic in JM Collection's scoop-neck top. 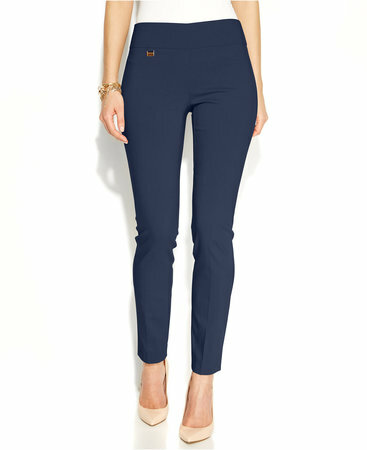 Look your best in Style& Co.'s petite slim-leg jeans, featuring a tummy-smoothing panel. Refresh your denim staples with Style&co. 's curvy-fit skinnies. Pair with sky-high heels for added drama. 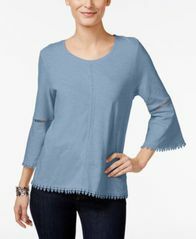 Add a romantic feel to any look with Style & Co's sweet off-the-shoulder top, accented by flared 3/4-sleeves and a fun flounced hem. Whatever the occasion may be, it’s easy to pull together a complete look with a dress. Whether you’re heading to work or to a wedding, there’s a frock that fits. Shop for dresses and add one (or a few) to your closet! Cozy up to the comfiest of women’s clothing—sweaters! With so many shades and styles to choose from, it’s easy to fill your winter wardrobe. 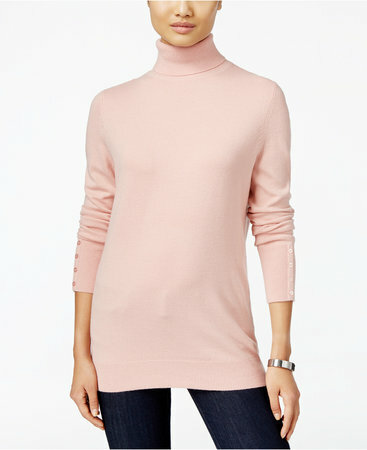 From the warm wools to luxurious cashmere, shop the selection of women’s sweaters. When it comes to staying warm, nothing fits the bill quite like a great selection of coats. From puffer jackets and trenches to moto jackets and peacoats, you’ll find a wide range of styles for even the mildest of cold weather. 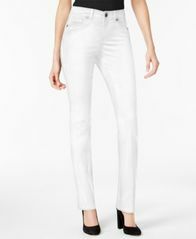 A quintessentially casual piece, jeans are a staple item for every wardrobe. Find a great selection of women’s jeans in traditional cuts and contemporary styles in a wide range of sizes. 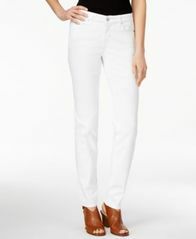 Shop Macy’s for a great selection of women’s jeans! Hit the town looking your best in pieces designed with plus size women in mind. From pretty blouses to laidback tees, there’s something for everyone. Shop plus size clothing and other closet essentials at Macy’s! Shopping for the latest looks in petite apparel? We’ve got you covered with the hottest trends for a stylish head-to-toe look. 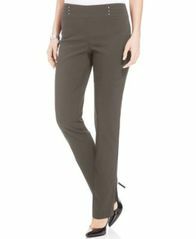 Shop the selection of petite sizes in tops, bottoms, dresses, jackets and much more from your favorite brands. You’re sure to find fashionable looks with just the right fit.